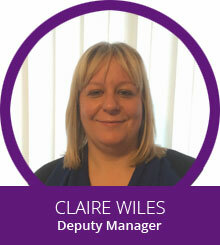 The Director/Manager of the company has over 25 years of experience in the care sector and holds varies national qualifications including Registered Managers Award Level 4. 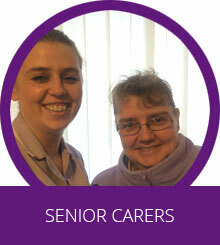 We employ one Deputy Manager, two senior care staff, twelve care assistants (full-time/part-time), two cooks, two domestic staff, one laundry assistant and one part time maintenance person. All staff receive the necessary criminal records checks and clearance from the Independent Safeguarding Authority's Vetting and Barring list before starting their employment with the home. 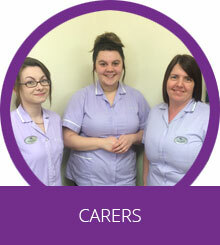 We have three care staff and a Manager on duty during the day. Two care staff are on duty in the evening. At night there are two care staff on duty and one member of management on call. All of our support staff receive training in the home's philosophy and values. 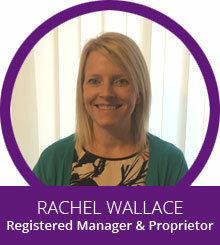 The home is fully committed to staff learning and development. Service users are involved in the recruitment process (All staff receive the necessary criminal records checks and clearance from the Independent Safeguarding Authority's Vetting and Barring list before starting their employment with the home). Both senior care staff hold Level 3 National Vocational Qualifications in Health and Care and 50% the care staff have Level 2 NVQ or above. Several other staff are working towards their NVQs or Diploma in Health and Social Care. One Domestic staff has completed an NVQ in Housekeeping. All staff have achieved the learning outcomes of the Common Induction Standards. In the last 12 months and those that staff that started work after April 2015 have completed their Care Certificate award. All staff have received training in adult safeguarding provided by the local authority and refresher training in various aspects of health and safety. Their training is regularly updated. All staff are trained in First Aid, Moving and Handling, Food Hygiene, Fire Safety, Mental Capacity Act and Dementia Awareness as part of their induction and many staff have been trained in Palliative care, Advanced Medication, Sensory Awareness, Communication, Dignity and Respect etc.